I suppose that the Pope can lose the papacy in three ways. Firstly, through natural death; secondly, through voluntary abdication; thirdly, through deposition. 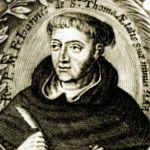 (…) On this third way of losing the papacy, many difficulties call for our consideration; but that we may be brief in our treatment we will reduce all the difficulties to two principal headings: namely, in what cases deposition is possible, and by what power it ought to be accomplished. And, to address the first question, there are three principal cases in which the deposition of a Pope can occur. The first is the case of heresy or infidelity; the second, that of perpetual insanity; the third, that of doubt concerning the validity of an election. Concerning the case of heresy, theologians and jurists dispute over many things, and our work does not permit us to discuss all of them in great detail; but all the doctors agree that the Pope can be deposed for heresy, and we shall cite them when we treat of the difficulties. We have an explicit text in the chapter Si papa, distinction 40, where it is said: “No mortal man presumes to rebuke the Pope for his faults, because he who is to judge all men is judged by no one, unless he be found to have deviated from the faith.” This exception manifestly signifies that a judicial sentence should be passed against the Pope in the case of heresy. The same is confirmed by the letter of [Pope] Adrian II, related in the eighth general Synod, session VII, in which he says that the Roman Pontiff is judged by no one; but, [he adds,] an anathema was pronounced against [Pope] Honorius by the [bishops of] the East because he had been accused of heresy, which alone makes it licit for inferiors to resist the doings of their superiors. Similarly, even Pope St. Clement says in his first epistle that St. Peter taught that a heretical Pope should be deposed. The reason for this is the following: we are obliged to separate ourselves from heretics, according to 1 Tim. 3: “A heretic, after the first and second admonition, avoid.” But he who remains in the Pontificate should not be avoided; on the contrary, the Church is obliged to be united to him and to be in communion with him, since he is her supreme head; therefore, if the Pope is a heretic, either the Church is obliged to remain in communion with him, or else he ought to be deposed from the papacy. The first hypothesis—that the Church is obliged to follow a heretical head—is evidently destructive to the Church and of its very nature involves the danger that the whole ecclesiastical government would fall into error; on the other hand, since the heretic is an enemy of the Church, the Church has a natural right to take action against such a Pope, because she has the right to self-defense against her enemies, and a heretical Pope is an enemy; consequently, she has the right to take action against him. By all means, then, the second option should be taken, and such a Pope should be deposed. But you will object, saying that Christ our Lord allowed unbelieving and heretical men to remain in the chair of Moses, such as the Pharisees were; “The Scribes and Pharisees have sat upon the chair of Moses; therefore, observe and do whatever they tell you” (Mt. 23). St. Jerome, in his commentary on the eighth chapter of Isaias, writes that the Pharisees were heretics and held perverse dogmas in accordance with various superstitions and traditions; and their errors have been enumerated by Epiphanius (in Panario, libro 1, cap. 16), Josephus (de bello Judaico lib. 2, cap. 7 ad finem), and Baronius (in apparatu annalium, cap. 7). Therefore, even a heretic and an unbeliever should be allowed to remain upon the chair of Peter—for he cannot [solemnly] define his heresy or error [as a dogma of faith, for Papal infallibility would prevent this], and thus the Church will always remain free from heresy. I respond that Christ our Lord did not command that the Pharisees be permitted to remain on the chair of Moses even in the case that they should be declared as heretics, but only on condition that they are still tolerated; and this applies to any heretic or unbeliever who is in the priesthood or episcopacy. If they have not yet been declared [as heretics] and deposed from their position of authority, the faithful ought to listen to them and obey them, because they still retain their power and jurisdiction; but if the Church should decide to tolerate them no longer, and declares them to be heretics, Christ our Lord does not prohibit this in the words cited above. But the question arises whether the Pope can be deposed in any case of heresy, and in whatever way he may be a heretic, or if certain conditions are required, without which heresy alone is not sufficient to depose the Pope. I respond that the Pope cannot be deposed or lose the papacy unless two conditions are simultaneously met: namely, that the heresy be public and juridically notorious, not occult; and that he be incorrigible and pertinacious in his heresy. When these two conditions are met the Pope can be deposed, but he cannot be deposed without them; and, on the other hand, even if he is not an infidel in his heart, but exteriorly he behaves like a heretic, he can be deposed, and the sentence of deposition will be valid. Turrecremata (lib. 4, 2 p. a capite 18, et lib. 2, cap. 102), Paludanus (in opusculo de hac re), Castro (lib. 2 de justa haereticorum punitione, cap. 22 et 23), Simancas (de catholicis institutionibus, cap. 21), Driedo (de libertate Christiana, cap. 16), and others. And some authors defend this position so abolutely that they think the Pope would fall from the papacy even because of a [purely] mental heresy; and their reasoning is that, in order to be Pope, it is required as a necessary condition that he be a member of the Church—for as Pope he is her supreme head—and that he be joined to the rock upon which the Church is founded, that is, the faith and the confession of Peter. For, even as the Church cannot be without interior faith, neither can the papacy, since it is founded upon the same profession [of faith] as the Church is; and it was for this reason that Christ asked for this profession of faith from Peter before He promised him the papacy. And Azorius (as cited above in chapter 7) attributes this opinion to Turrecremata and Castro. Soto (in 4, dist. 22, quaest. 2, art. 2), Cano (lib. 4 de locis, capite ultimo ad duodecim—he does not even concede any probability to the opposite opinion), Cajetan (de auctoritate papae, cap. 18 et 19), Suarez, Azorius, and Bellarmine (lib. 2 de Romano pontifice, cap. 30). The foundation for this opinion is that occult heretics, as long as they are not condemned by the Church and cut off from her, remain parts of the Church, and are in communion with her exteriorly, although they do not share in her interior spirit; even the Pope, therefore, is not cut off from the Church by the fact that he is an occult heretic; consequently, he can still be her head, even as he is still a part and a member, although not a living one. This opinion is confirmed by the fact that lesser priests [i.e., lower members of the hierarchy] can exercize acts of [the powers of] Order and ecclesiastical jurisdiction; for a heretical priest can confect the Sacraments and give absolution in extreme necessity; therefore, not even faith is required for the Pope to exercise his jurisdiction, as long as he has not been deposed by the Church; and this is especially true in his case, because [as Pope] he is not capable of incurring excommunication for being a heretic, as inferiors can. Finally, if the Pope, by the very fact of being an occult heretic, fell from the Papacy even before the Church becomes aware of it and judges him, it would follow as a consequence that, if he speedily came back to his senses by sincere repentance, he could no longer exercise the functions of the papacy, since he has lost that dignity, and it is not restored by God through Penance as grace is. But if he cannot act as Pope he will be obliged to renounce the papacy, which is certainly a very grave inconvenience; for he will be obliged to betray himself; for it will be necessary to publicize the reason for his renunciation, or at least to consult others about the matter. Moreover, many other problems would follow if, by the very fact that he is an occult heretic, the Pope would lose the papacy; for everything would become perplexing, and the door would be opened to schism, if without considering the judgment of the Church he were to lose the papacy for an offence known perhaps to him alone. This reasoning removes the foundation from the other opinion, since, in order for someone to be Pope, it is required only that he be a member of the Church by exterior communication, at least in the way that someone is said to be sufficiently a member of the Church in order to govern her externally (for it is in this sense that the Pope is head of the Church), even if he does not participate in her interior spirit by reason of an occult heresy or sin; and it suffices for him to be united to the rock and to the Church in this way, that is, by exterior communication; for he is considered by the Church as joined to her as long as he has not been cut off by her or declared to be a heretic. As to the other argument adduced—namely, that the Church cannot remain the true Church without interior faith—I respond that [if that were true] it could be proved in the same way that the Pope cannot retain the papacy without grace, and that he loses it by the very fact of falling into mortal sin—which was a heresy of Wycliff, condemned among his articles in the Council of Constance—because, even as the Church (taken generally) cannot exist without interior faith, so neither can it exist without charity. The authority of the papacy, therefore, is not founded upon the personal faith of any individual, inasmuch as any one person can express it according to his own understanding; rather, it is founded upon the common faith of the whole Church—and the fact that the Pope cannot fail in this faith means that, even if he were personally a heretic, yet insofar as he teaches ex cathedra he cannot teach anything contrary to the faith. It is in this faith, therefore—which is the faith of the papacy, and not of the person; and which was the faith of Peter and his confession—in this alone the papacy is founded, and not in the personal faith even of the very person of the Pope. Now, since the Church by definition is the congregation of all the faithful, it is incompatible with her nature for all of her members to without the true faith of God, even mental, in the same way that it is impossible for all the faithful to be without grace. The second condition for the Pope to be deposed—namely, that he be incorrigible and contumacious in his heresy—is evident; for, if he is ready to be corrected, nor pertinacious in his heresy, he is not considered to be a heretic, as we gather from the chapter Dixit Apostolus 24, q. 3; therefore, if the Pope is ready to be corrected, he should not be deposed as a heretic. It is also evident from the fact that the Apostle commands that the heretic be avoided only after a first and second admonition; consequently, if after being admonished he returns to his senses, he is not to be avoided. Since, then, it is because of that very precept of the Apostle that a Pope ought to be deposed for heresy, it follows from the same precept that, if he can be corrected, he is not to be deposed. And indeed, since the Pope, before he is deposed, ought to be urged to return to his right mind, plainly if he corrects himself after being admonished it does not seem possible to proceed further by deposing him. The third case of the deposition of a Pope is where there is doubt as to the validity of a papal election; and under this heading we include all those instances in which the Church cannot free herself from doubt and become certain of who is her head; for, because the election of Popes has been committed to her, she has the right to have certainty about the one who is elected to be Pope and her universal head. (…) In every case in which there is doubt as to who is true Pope, or as to the election, it pertains to the Church to judge the matter, not because she is superior to the Pope (even if he be Pope in reality), but because she is superior to the election of the Pope and all the doubts that can arise from it; and [this means that] she is superior per accidens to the one who is, in reality, a real Pope. But you will object: What if the Church [deems] someone not to be a true Pope who in reality and in the sight of God really is the Pope, although others are in doubt about it? For, in that case, he has already received supreme power over the Church from Christ our Lord, for he has it from his election, which was valid in itself [even if it was not so in the estimation of others]. Hence, even if the Church [putatively] deposes him, she will not be able to take away the power given him by Christ our Lord, for this cannot be lost without the fault of the one elected. In such a case, if the Church proceeds to elect another Pope, there will then be two persons in the Church who really and in the sight of God have supreme power over the Church—which is impossible, since by the institution of Christ our Lord there ought to be only one supreme pastor; therefore, it is impossible that this supreme power would really be given to two persons because of the action of the Church. I respond that there is no doubt that the Church can judge and depose a Pope who is innocent in reality, but proven to be harmful, just as, if he were not a heretic in reality, but nevertheless were juridically proven to be a heretic exteriorly, he could be held not to be the Pope. For even as, when he is truly at fault, he loses the papacy, not when he committed the fault and had not yet been judged by the Church, but rather when the Church declares him to have committed it; so also, even if he is not at fault in reality, nevertheless, if he is guilty according to the declaration of the Church (because it has been juridically proven so), he still loses the papacy. For this is expedient for the governing of the Church, which is done in a human manner and with human proofs, which require only juridical truth, not mathematical; and, because the papacy does not consists in a character, which cannot be destroyed by any action, but rather in jurisdiction, which can depend upon moral conditions, therefore, the power of the papacy can depend upon the moral and juridical notoriety of a fault as a condition [for the loss of its possession], even though [the possessor] be innocent in reality. Nevertheless, I add that it seems more likely that such a case—namely, that the Church should judge someone not to be Pope who really is Pope in reality—is impossible; for this would mean that the universal Church erred on a matter that is extremely serious and affects the whole body of the Church; so that, even as the Church cannot err in judging to canonize a saint, so also it seems impossible that the Church would err in condemning someone as a heretic and deposing him from the papacy; nor would God permit her to judge that one who in fact is really Pope is not the Pope. But you will ask if we should admit of any case, besides those already given, in which the Pope should be deposed. I respond in the negative; any case that can be imagined is reduced to one of these three, and he can be deposed for no other. This is the common opinion of theologians, and also of many jurists. (…) The reason for this is, first of all, that in law there is no crime for which the Pope can be deposed except heresy. (…) The second and even stronger reason is that, according to law, the Pope is judged by no one (…); therefore the deposition of a Pope cannot be done directly, by way of judgment and punishment, since the Pope has no superior on earth by whom he could be punished or corrected. He can be deposed, then, only because on his side there is an incompatibility with being head of the Church; namely, because he is separated and segregated from her by leaving the faith, in such wise that the Church has the obligation to avoid him; whereas for other sins (no matter how grave) the Church is never obliged to avoid him, because he is not segregated from her—nor can he be separated from her by excommunication—and therefore he should not be forced out from the papacy; for, if he were forced out of it, the reason would not be that the Church cannot adhere and remain united to him, but rather that she repels the Pope from the papacy as being unworthy of it due to his demerits; but this latter cannot be done except by someone having authority and jurisdiction over the guilty one who is being punished for his demerits; and since this power is found in no man, not even in the Church (since the Pope cannot have any superior on earth), consequently he cannot be judged for such crimes. Neither is the Pope directly judged for heresy; but, because Scripture and Divine Law oblige the Church to separate herself from a heretic and not to communicate with him, therefore, once she has declared that he is a heretic [declaratory, not condemnatory sentence], the Church cannot regard him as her head; for she cannot communicate with him; but the head to which the body is not united and with which it does not communicate is no head at all. But another difficulty remains to be discussed: namely, by what power this deposition of the Pope should be accomplished. And the whole question turns around two points. The first is the declaratory sentence by which the crime of the Pope is declared. Who should issue it, the Cardinals or a general Council? And if a general Council, by whose authority should it be summoned, and who has the power to decide such a case? The second point is the deposition itself, which is to be done after a sentence has been passed declaring the crime. Is it done by the power of the Church, or is it done by Christ our Lord himself without any intermediary as soon as the declaration has been made? But we have yet to explain by whose authority this Council should be convoked; for it cannot be done by the authority of the Pope, since it is gathered in opposition to him; but no Council can be legitimate unless it is convoked by the authority of the Pope; hence, the Pope can deny any Council its right to convoke, and can nullify it, if it is gathered against his will—especially since, before the declaration of his crime, he still has the power of Pope; therefore, any Council that is gathered is subject to his power, and consequently he can dissolve it if he wishes. I respond that such a Council can be convoked by the authority of the Church, which is in the bishops, or the greater part of them; for by Divine Law the Church has the right to segregate herself from a heretical Pope, and consequently she has the right to apply all the means that of their very nature are necessary for this segregation; but one such means, which is necessary of its very nature, is that she acquire juridical certainty about the crime; but the crime cannot be juridically certified unless she form a competent judgment; and in so grave a matter a competent judgment cannot be issued by any except a general Council, for we are dealing with the universal head of the Church, wherefore the matter belongs to the judgment of the universal Church, which is had in a general Council. And therefore I do not agree with Fr. Suarez, who thinks that this matter could be handled by provincial Councils; for a provincial Council does not represent the universal Church, and therefore it does not have the authority of the universal Church, in order to be able to decide the matter; and even if many provincial Councils were gathered they would neither represent the universal Church nor have her authority. But if we speak, not of the authority by which the judgment is rendered, but of that by which the Council is convoked, I do not think that its convocation has been entrusted to anyone in a determinate manner; but I think that it could be done either by the Cardinals, who would be able to give the bishops knowledge of what is going on; or else the bishops who are nearer [geographically to the Pope] could denounce the matter to the others, so that all would come; or again, it could even happen at the insistence of the [Catholic] princes—in which case the summons would not, indeed, have any coercive force, as it has when the Pope convokes a Council; rather, it would be denunciative in nature, notifying the bishops of the [alleged] crime and making it manifest that they should come to remedy the situation. The Pope, therefore, cannot annul such a Council, since he himself is a part [of the Church], and the Church by Divine Law has the power to gather a Council for this end, because she has the right to segregate herself from a heretic. However, concerning the second point—namely, by whose authority the declaration and deposition are to be accomplished—there is disagreement among theologians, for it is not apparent who should effect the deposition, since it is an act of judgment and jurisdiction, and no one can exercise these in relation to the Pope. Cajetan (in opusculo de potestate papae, capite 20) relates two explanations that are extreme opposites, and two others that are in the middle. One of the extremes is that the Pope, by the very fact [ipso facto] that he is a heretic, is deposed without any human judgment. The other extreme is that there is a power that is superior to the Pope without any qualification, and this power is able to judge him. Of the two intermediate opinions, the one holds that the pope does not recognize anyone as superior absolutely, but only in the case of heresy. The other holds that there is no power on earth that is superior to the Pope, whether absolutely or in the case of heresy; but there is a ministerial power. Even as the Church has a ministerial power in the election of a Pope—not as to the conferring of power, since this is done immediately by Christ, as we have said in the first article; but in the designation of the person—so, too, in the deposition (which is the destruction of the bond by which the papacy is joined to this particular person) the Church has a ministerial power and deposes the Pope ministerially, while it is Christ who deprives him of the papacy authoritatively. Of these two [intermediate] explanations, Azorius (2, tom. 2, cap. 7) adopts the first, which holds that the Church is superior to the Pope in the case of heresy; while Cajetan adopts the latter and treats of it at length. Bellarmine, however, reports his opinion and attacks it in his work de Romano pontifice, bk. 2, ch. 30, objecting especially to these two points: namely, that Cajetan says that the Pope who is a manifest heretic [according to the Church's human judgment] is not ipso facto deposed; and also that the Church deposes the Pope in a real and authoritative manner. Suarez also, in the disputation that we have frequently cited, sect. 6, num. 7, attacks Cajetan for saying that, in the case of heresy, the Church is superior to the Pope, not insofar as he is Pope, but insofar as he is a private individual. Cajetan, however, did not say this; he only said that, even in the case of heresy, the Church is not absolutely superior to the Pope, but instead is superior to the bond between the papacy and the person, dissolving it in the same way that she forged it at his election; and this power of the Church is ministerial, for only Christ our Lord is superior to the Pope without qualification. Hence, Bellarmine and Suarez are of the opinion that, by the very fact that the Pope is a manifest heretic and declared to be incorrigible, he is deposed [ipso facto] by Christ our Lord without any intermediary, and not by any authority of the Church. 1) The first is that it is not precisely the fact of heresy, as such, that deprives a heretical Pope of the papacy and deposes him. 2) The second is that, even in the case of heresy, the Church has no power or superiority over the Pope in relation to his papal power (as if there were a power superior to that one, even in such a case), for the power of the Church is in no way superior to that of the Pope; and consequently her power is not superior to the Pope [himself] without qualification. 3) The third is that the power of the Church has as its object the application of the papal power to the person, both in designating that person [as Pope] by electing him, and also in separating this power from the same person by declaring that he is a heretic and must be avoided by the faithful [Vitandus]. For, although the declaration of the crime is like an antecedent disposition and is related in a ministerial way to the deposition itself; nevertheless, in a dispositive and ministerial way it [i.e., the declaration] attains even to the form, inasmuch as, by acting upon the disposition, it acts mediately upon the form; even as, in the generation or corruption of a man, the one who generates him does not produce or educe the form; nor does the one who corrupts a man destroy the form, but only the bond or separation of the form—and this is done by acting immediately upon the dispositions of the matter in relation to the form; and, with those dispositions as a medium, the agent’s activity reaches the form itself. That Cajetan’s first proposition is true is evident from what we have already said; nor does Bellarmine attack it legitimately. And the truth of it is certain, both because the Pope, no matter how truly and publicly he be a heretic, cannot be deposed if he is ready to be corrected, as we have said above; nor does Divine Law give the Church the power to depose him, for she neither can nor ought to avoid him [until he be proven incorrigible]; for the Apostle says, “Avoid a heretic after the first and second admonition”; consequently, before he has been admonished a first and second time, he is not to be avoided by the Church; neither, then, is he to be deposed. So it is false to say that the Pope is deposed by the very fact [ipso facto] that he is a public heretic; for it is possible for him to be a public heretic while he has not yet been admonished by the Church, nor declared to be incorrigible; and also because, as Azorius notes well in the place referenced above, no bishop loses his jurisdiction and episcopal power ipso facto, no matter how much of an external heretic he may be, until the Church declares him such and deposes him; and this is true despite the fact that he incurs excommunication ipso facto; for only those who are excommunicated as non tolerati [i.e., vitandi] lose their jurisdiction—which is to say, those who have been excommunicated by name, or who are manifest strikers of the clergy; so, if no bishop (or any other prelate) loses his power ipso facto solely from external heresy, why would the Pope lose it before a declaration is given by the Church—especially because the Pope cannot incur excommunication? For, as I presume, there is no excommunication that is immediately incurred because of Divine Law; but the Pope cannot be excommunicated by any human law, since he is above all human law. Cajetan’s second proposition is proved from the fact that the power of the Pope, without any qualification, is a power derived from Christ our Lord, and not from the Church; and to that power Christ subjected the whole Church, that is, all the faithful without any restriction—as is certain de fide, and has been proven at length already; therefore, in no case can the Church have a power superior to that of the pope—unless there is a case in which the Pope’s power becomes dependent upon the Church and inferior to her; but, by the very fact that it becomes inferior in such a case, it is already altered and is not the same power as before—since beforehand it was superior to the whole Church and independent of her, and yet in this [supposed] case becomes dependent and inferior. It is never verified, then, that the Church has a power that is formally superior to that of the Pope [this shows that neither John of St. Thomas nor Cajetan were Conciliarists]; for it is necessary, in order for the Church to have, in some case, a power superior to the Pope’s, that the Pope’s power be formally different from what it had been previously, for [in such a hypothetical case] it is not full and supreme in the way that it was before. Nor does any authority give us certainty that Christ our Lord gave a power to the Church in this way, so that her power would be superior to the Pope’s; for the things that are said about the case of heresy do not indicate any formal superiority over the power of the Pope, but only that the Church avoids him, separates herself from him, refuses to communicate with him, etc. Nor can any foundation be construed to the contrary by saying that Christ our Lord (who gave, without any restriction, supreme and independent power to Peter and to his See) determined that, in the case of heresy, the Pope’s power would be dependent upon, and inferior to, the power of the Church formally as such, so that his power would be subordinated to that of the Church, and not superior as before [this is the heresy of Conciliarism]. The third proposition follows from the two preceding. For the Church can declare the crime of the Pope and propose him to the faithful as one who is to be avoided, according to Divine Law, which commands that heretics be avoided. And the Pope who is to be avoided, as a consequence of this disposition, is necessarily rendered incapable of being the head of the Church, since he is a member to be avoided by her, and consequently unable to exercise an influx on her; therefore, by reason of this power [of declaring the Pope to be a heretic whom the Church must avoid], the Church dissolves, in a ministerial and dispositive way, the bond between the papacy and that person. The consequence is clear: for when an agent has the power to induce a disposition in a subject, and the disposition is such that the separation of the form necessarily follows from it (since the form cannot remain with this disposition in the subject), the agent has power over the dissolution of the form, and mediately touches the form itself as having to be separated from the subject—not as having to be destroyed in itself, as is evident in the agent that corrupts a man; for the agent does not destroy the form of the man, but induces the dissolution of the form by placing in the matter a disposition that is incompatible with the form. Therefore, because the Church has the power to declare that the Pope is to be avoided, she is able to introduce into his person a disposition that is incompatible with the papacy; and thus the papacy is dissolved ministerially and dispositively by the Church, but authoritatively by Christ; even as, in designating him through his election, she gives him the last disposition needed for him to receive the papacy that Christ our Lord bestows upon him, and thus she creates a Pope in a ministerial way. And if Cajetan sometimes says that the Church has power authoritatively over the conjunction of the papacy with the person, and its separation from him, but that she has power ministerially over the papacy itself, he is to be understood in this way: he means that the Church has the authority to declare the crime of the Pope, even as she has the authority to designate him as Pope [by papal election]; and what is authoritative in respect to the declaration is dispositive and ministerial in relation to the form as having to be joined to him or separated from him; for, absolutely and of herself, the Church has no power over the form itself [of the papacy], since the power [of the papacy] is not subordinated to her. By understanding things in this way, we can reconcile the different canons, which sometimes say that the deposition of the Pope pertains to God alone, and sometimes that he can be judged by his inferiors in the case of heresy; for it is true both that the ejection or deposition of the Pope is reserved to God alone, as the authoritative and principal agent, as is said expressly in the chapter Ejectionem, distinction 79, and in many other canons cited above, which say that God has reserved the judgment of the Apostolic See to himself alone; and also that the Church judges the Pope ministerially and dispositively by declaring the crime and proposing the Pope as someone who is to be avoided, as we read in the chapter Si papa, distinction 40, and the chapter Oves, 2 question 7. The arguments of Bellarmine and Suarez against the foregoing opinion [of Cajetan] are easily refuted. For Bellarmine objects that the Apostle says that a heretic is to be avoided after two corrections, that is, after he manifestly appears to be pertinacious; and that happens before any excommunication or judicial sentence, as Jerome comments, for heretics depart from the body of Christ of their own accord [per se]. And his reasoning is this: a non-Christian cannot be Pope (for he cannot be the head who is not a member); but the heretic is not a Christian, as the Fathers commonly teach; therefore, the manifest heretic cannot be Pope. Nor can one respond that he still has the [baptismal] character; for, if he remained Pope because of this character, it will never be possible to depose him, as this character is indelible. Wherefore, the Fathers—such as Cyprian, Jerome, and Ambrose—teach with one accord that heretics lack all jurisdiction and power by reason of their heresy, and that this is so independently of any excommunication. I respond that the heretic is to be avoided after two admonitions; that is, after two admonitions made juridically and by the authority of the Church, and not according to private judgment; for, if it sufficed for this admonition to be made by a private individual—and if, when the heresy had been made manifest [by such private admonitions], but had not [yet] been declared by the Church and proposed to all so that all might avoid the Pope, the faithful would nevertheless be obliged to avoid him, great confusion would follow in the Church; for the heresy of the Pope cannot be public in respect to all the faithful, unless others relate it to them; but such [private] reports, since they are not juridical, cannot claim everyone’s belief or oblige them to avoid the Pope: hence, just as the Church, by designating the man, proposed him juridically to all as the elected Pope, so too, it is necessary that she depose him by declaring him a heretic and proposing him as one to be avoided. Hence, we see from the practice of the Church that this is how it has been done; for, in the case of the deposition of a Pope, his cause was handled in a general Council before he was considered not to be Pope, as we have related above. It is not true, then, that the Pope ceases to be Pope by the very fact [ipso facto] that he is a heretic, even a public one, before any sentence of the Church and before she proposes him to the faithful as one who is to be avoided. Nor does Jerome exclude the judgment of the Church (especially in so grave a matter as the deposition of a Pope) when he says that a heretic departs from the body of Christ of his own accord [per se]; rather, he is judging the quality of the crime, which of its very nature [per se] excludes one from the Church—provided that the crime is declared by the Church—without the need for any superadded censure; for, although heresy separates one from the Church by its very nature [per se], nevertheless, this separation is not thought to have been made, as far as we are concerned [quoad nos], without that declaration. Likewise, we respond to his reasoning in this way: one who is not a Christian, both in himself and in relation to us [quoad se et quoad nos], cannot be Pope; however, if in himself he is not a Christian (because he has lost the faith) but in relation to us has not yet been juridically declared as an infidel or heretic (no matter how manifestly he be such according to private judgment), he is still a member of the Church as far as we are concerned; and consequently he is its head. It is necessary, therefore, to have the judgment of the Church, by which he is proposed to us as someone who is not a Christian, and who is to be avoided; and at that point he ceases to be Pope in relation to us [quoad nos]; and we further conclude that he had not ceased to be Pope before [the declaration], even in himself, since all of his acts were valid in themselves. The second objection is this: the Church cannot have power over the bond between the papacy and the person without having power over the papacy itself; for neither does the Pope, when he deposes a bishop, do anything more than destroy the bond between him and his episcopacy—for he does not destroy the episcopacy itself; therefore, if the Church has power over the bond that exists between the papacy and the person, consequently she has power over both the papacy and the person of the Pope. And this reasoning is confirmed by the fact that the Pope is deposed against his will, and therefore is penalized in such a deposition; but to inflict a penalty is proper to a superior and a judge; therefore the Church, when she deposes a Pope—that is, inflicts on him the penalty of deposition—has superiority over the person of the Pope [which is impossible; therefore (Suarez concludes) the Church cannot depose a heretical Pope; but Jesus Christ does it immediately, as soon as the declaration of heresy is made by the Church]. Finally, he who has power over both the parts—that is, over their conjunction—has power in an unqualified sense over the whole, even as one who generates a man has power in an unqualified sense over the whole man; therefore, if the Church has power over the conjunction of the papacy with the person, she has power over the Pope in an unqualified sense, contrary to Cajetan’s assertion. I respond that the Church, when she deposes a Pope, does not have power over him in the same way as the Pope has power over a bishop when he deposes him; for the Pope, in depriving a bishop of his episcopacy, acts on him as one who is subject to him, and whose power is subordinated to him and dependent on him, and which he can limit and constrain; hence, although he removes the episcopacy from the person without destroying the episcopacy, nevertheless, he takes it away by reason of his superiority over the person (even in respect to the power that the person has, since the same is subordinate to him); and because of this he moves the power away from the person, and not just the person away from the power. The Church, however, takes away the papacy, not because she has any superiority over that power, but rather through the ministerial and dispositive power by which she is able to induce a disposition [in the person of the Pope] that is incompatible with the papacy, in the way explained above. As to the supporting argument, I respond that the Pope is deposed against his will ministerially and dispositively by the Church, but authoritatively by Christ our Lord; hence it is by Christ, and not by the Church, that he is punished in the proper sense. To the last argument, I say that he who has power over the conjunction of the parts has power over the whole in an unqualified sense; but this is not the case if he has a merely ministerial and dispositive power over such a conjunction—unless we are discussing natural bodies, in which the physical dispositions have a natural connection with the very being of the whole; for, when an agent communicates being to a natural body by producing dispositions that unite its parts, it produces the whole natural body in an unqualified sense; but because in moral beings the disposition has only a moral connection with the form, and this connection is because of a voluntary institution, he who disposes the moral being is not considered to produce the whole being in an unqualified sense and authoritatively, but as it were ministerially. This is comparable to how, if the Pope were to grant someone the power to determine which places have privileges of gaining indulgences and which do not, the desigation that this person makes would not take away or grant the indulgences principally and authoritatively, but only ministerially. A heretic, by definition, is outside the Church. And, as Leo XIII said in Satis Cognitum, "It is absurd to imagine that he who is outside can command in the Church." Satis Cognitum and the Council of Florence hold more weight than a fallible John of St. Thomas, on this issue.